The Who Murdered? book series is one of the most interesting ever published. It combines murder, suspense, cold case, celebrity and true crime venues as it solves some of history’s greatest mysteries. When the series is completed it will feature six individual volumes revealing the naked truth that history’s most famous deaths were not natural. Each volume requires years to research, document and cite as information that has been hidden for decades is fully investigated. Each murder suspect is screened for motive, means and opportunity as both the murderer and the method are revealed. These books make great gifts and conversation pieces, and are a must have for that special “someone” on your list.
! Buy two or more books and we’ll have them autographed for free ! 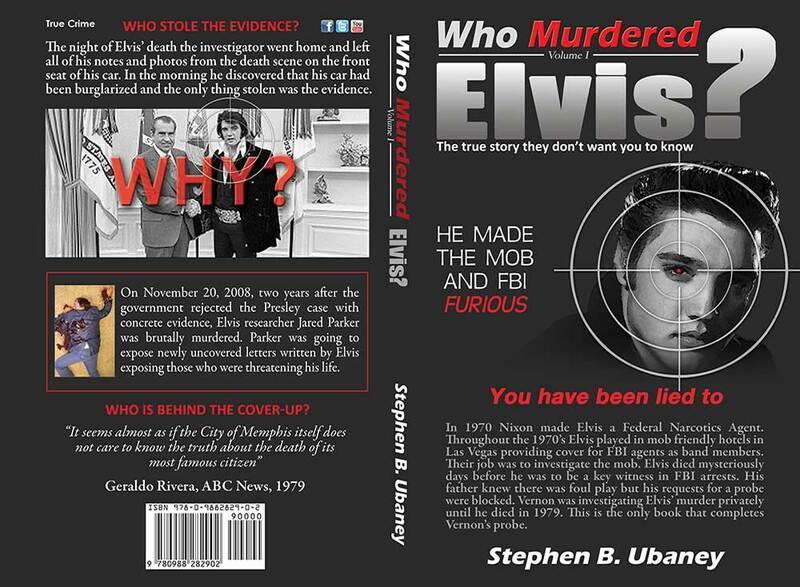 No one in history has done more digging into the dark forces at work behind Elvis's fame than author Steve Ubaney. In Volume I of his six volume series Mr. Ubaney investigates every part of Presley’s FBI involvement, his managers mafia connections, and the cover-up surrounding his mysterious death. 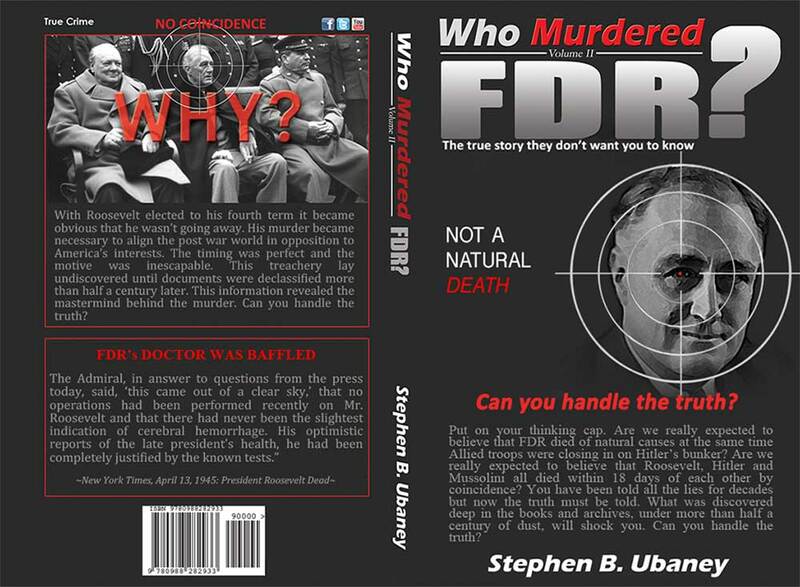 It's time to investigate FDR’s mysterious death in a way that no one else ever has. Grab your thinking cap and join author Steve Ubaney in volume II of his six volume Who Murdered? book series as he probes every part of FDR's checkered death. Newly discovered medical evidence cracks the case wide open. 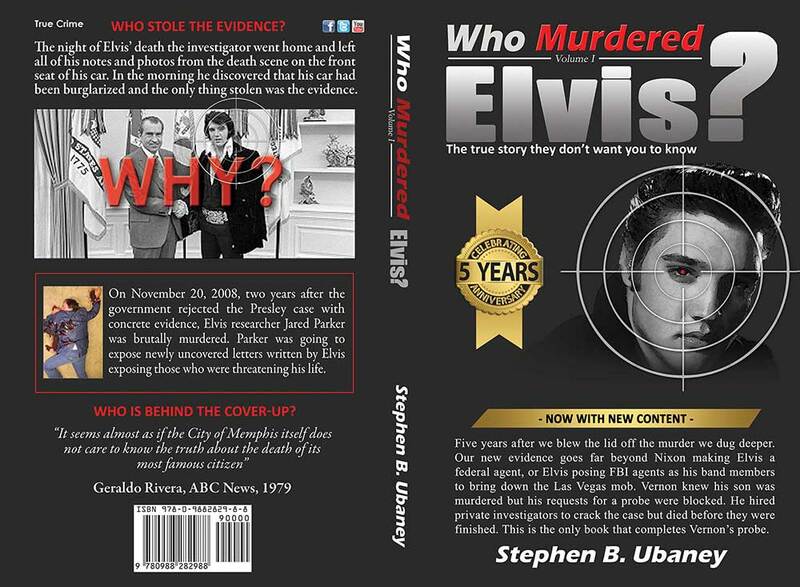 Five years after Who Murdered Elvis? we dug deeper. Ten years of investigation is now complete. This book goes beyond the knowledge of Elvis being made a federal agent by President Nixon. It goes beyond the knowledge of Elvis’ father, doctor, chief of security and his girlfriend suspecting foul play. The truth just got bigger.